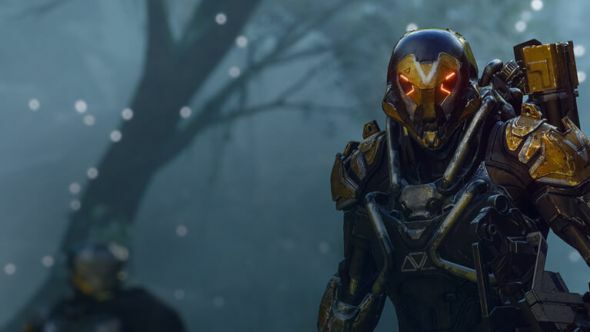 At E3 2017, EA and BioWare announced Anthem, an ambitious online-connected shooter following in the footsteps of Bungie’s Destiny. According to massive report from Kotaku speaking to anonymous sources close to the project, there’s a feeling at BioWare that the studio’s future is on the line with Anthem, and aside from a few small teams all hands are on deck for the new title. Here’s everything we know about Anthem so far. Anthem is reportedly now scheduled in early 2019, a delay from the fall 2018 window mentioned at E3, with one source saying that date was “never realistic.” There’s no exact date in mind yet, but developers don’t believe EA would allow the game to be delayed any further than the end of fiscal year 2019 in March. Earlier today, executive producer Mark Darrah confirmed that BioWare are “hard at work” on a new Dragon Age, and according this report that DA development currently from a small team, with the vast majority of BioWare staff at both Edmonton and Austin at work on Anthem. The new Dragon Age would be early in development, as it’s apparently been rebooted within the past year, in part to implement more live service elements. People at the studio say that there will still be a strong emphasis on characters and story. The future of Star Wars: The Old Republic is also in question, as discussions within the studio about whether to shut down the 2011 MMO have been ongoing. According to the report, there are a number of factors causing anxiety within the studio regarding Anthem’s development. BioWare Montreal was absorbed into EA Motive after the disappointment of Mass Effect: Andromeda. Controversy over Battlefront II’s loot boxes has BioWare reconsidering monetization plans for Anthem, which are still undecided. Similarly, the negative response from Destiny players over the sequel’s lack of content has the studio concerned whether they can overcome similar issues. Developers are also concerned that inflammatory comments from pundits, especially on YouTube, around EA have painted the company as cartoonish villains, demoralizing those doing the ground work. But there’s optimism around Anthem according to these sources, and though the project has struggled since it first began in 2012, things seem to have improved. Either way, the feeling at the studio is that BioWare will look very different in the future depending on Anthem’s relative success or failure.